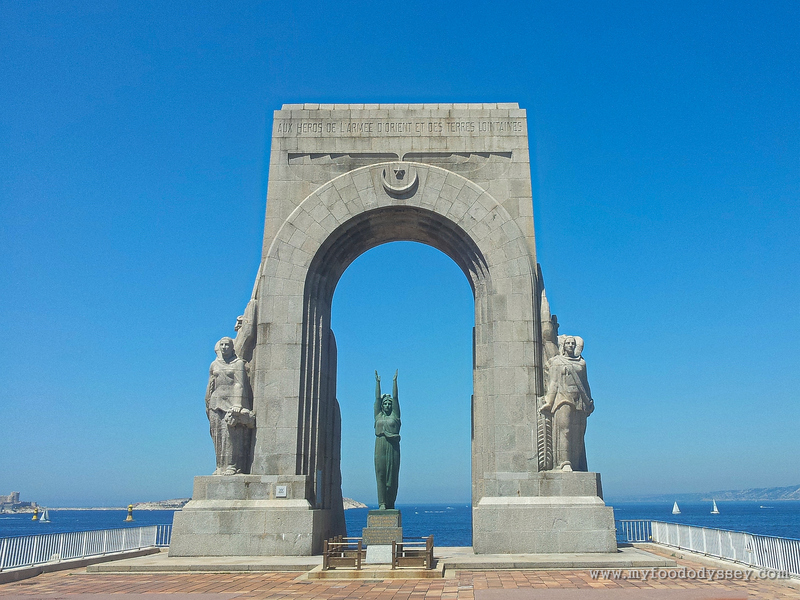 The Monument aux Mort (War Memorial) in Marseille, France. The inscription reads “Aux Heros de l’Armée d’Orient et des Terres Lointaines” – “For the Heros from the (French) Army of the East and from Distant Lands”. About 36,000 of these memorials were erected around France shortly after World War 1. This one opened on April 24th 1927. Wow! Such a stunning photo! I could look at this all day. Great shot! Thanks! I got lucky with the clear blue sky!